As San Diego's first storm passes and temperatures start to cool down, (just kidding it's going to be 80°F/27°C this weekend) I'm reminded of warmer, summer days. 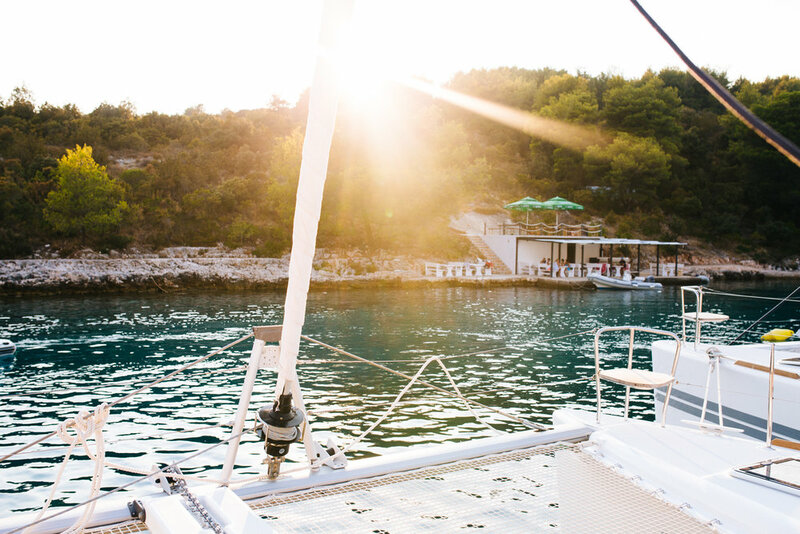 Summer days that consisted of sailing on yachts, swimming in crystal clear Balkan waters and parties in forts overlooking the ocean and dancing under the stars. 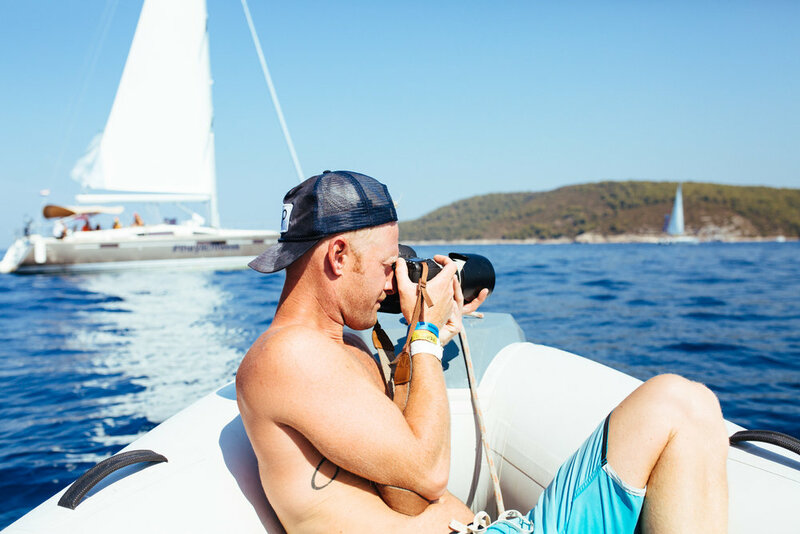 I was in Croatia as a photographer for the often Instagram'd, pool-floatie filled event The Yacht Week. Rewind about a year ago to 2016, a friend mentioned The Yacht Week and I entered the black hole of social media stalking their Instagram, Facebook and watching almost every video for the routes and destinations they offered. We discussed getting a group together with friends over the course of a few months but in the end plans for TYW 2016 faded away. In 2017 what was a distant memory became a reality! One of the #1 questions I've been asked the most by followers on my social media accounts and attendees of TYW is "how did you get that?" and the answer is easy "research". Since I had been following them I noticed they always gave a massive amount of credit to their photographers and within a few minutes of checking out their website I found a spot for online applications. I was already going to be in Italy so figured it would be worth a shot to apply and easy to hop over to Croatia or any of their other destinations: Greece, Spain, Italy. #1 - Check out their Work with Us page. #2 - Become a Summer Intern for The Yacht Week! I spent most of my time around the interns and they are the most fun and hardworking crew, emphasis on FUN! For 6 weeks the interns become a tight-knit family with those friendships extending well beyond the summer season. Find out more about Summer Internships and join #theinternsoftyw HERE. #3 - Interested in being a Skipper or Hostess for The Yacht Week? AND if all of this looks like way too much work then you always have the option to Book a Yacht of your own with your closest crew! You Pick Your Pace! Huge thanks to Kajal, Rebecca, Roisin and Rosalie! These ladies welcomed me into their little family and showed me the best places around Split while enjoying gelato almost nightly!